A business book disguised as a novel, a love story about the manufacturing process, and an exhilarating adventure in human potential. Alex Rogo is the manager of a failing manufacturing plant who receives an ultimatum from corporate headquarters: turn the situation around in three months or the plant will be scrapped. With help from Jonah and using TOC principles like bottlenecks, throughput and flow balancing, Rogo discovers a revolutionary new way to do business - a way for people in any field of endeavor to increase productivity, profitability, and personal fulfillment. The story of Alex’s fight to save his plant is more than compulsive reading. 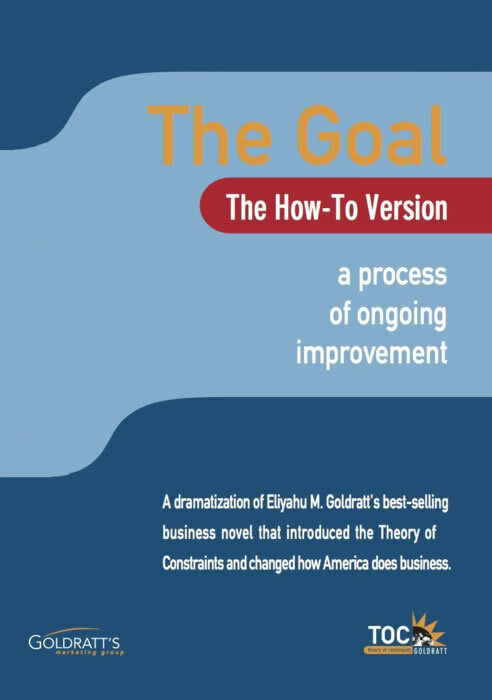 It contains a serious message for all managers in industry and explains the ideas which underline the Theory of Constraints (TOC) developed by Eli Goldratt. 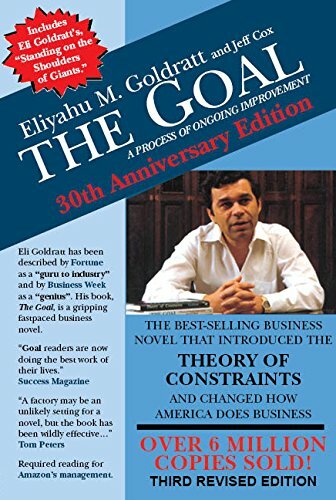 Goldratt was an internationally recognized leader in the development of new business management concepts and systems, and an educator to many of the world’s corporations. 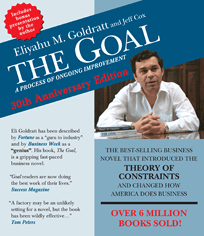 30th Anniversary third revised edition inspires change! understanding the in-depth analysis and the corresponding TOC solution.